Products available while supplies last until November 30, 2018. This means products will only be available until November 30 or while supplies last, whichever comes first. If a product’s supply is depleted before November 30, it will be made unorderable and will no longer be available for purchase. 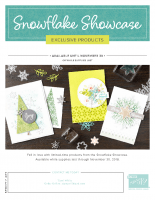 You can get these special edition products in a demo kit beginning in November, in addition to Holiday Catalog and Annual Catalog products. Just ordered this. Love it!